If you are vegan, or wish to garden avoiding chemicals, manure and animal remains then vegan gardening is probably for you. There has been demand for a long time for vegan compost, with many people using vegan principles for growing vegetables, flowers, trees and shrubs. 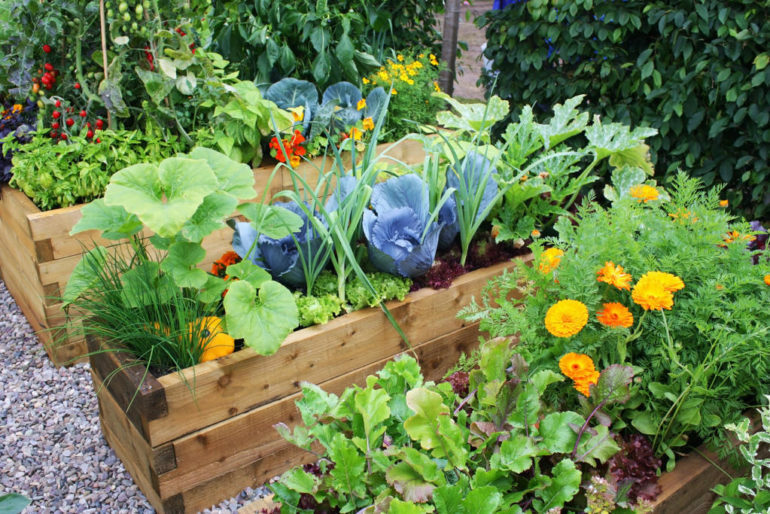 Vegan gardeners of course avoid using animal products in the garden, such as blood, fish and bone, bonemeal, fish emulsion and animal manures. Soil fertility is maintained using green manures (nitrogen fixing clover, alfalfa, lupin), crop rotation, mulching and other sustainable methods. Use of lime, gypsum, rock phosphorous rock dusts and potash can all be used but are not essential. Soil conditioners and fertilisers that are vegan/organic and sustainable are: hay mulch, wood ash, composted organic matter such as fruit and veg, leaves and grass clippings, green manure, liquid feeds such as comfrey or nettle tea and seaweed. All plant feeds improve the structure of the soil and provide vital nutrients for growing plants. Currently manure pellets come from intensively factory farmed animals. The RHS notes that animal-free fertilisers and composts are the highest in demand for gardeners who want to garden consciously. Vegan soil should be organic, with the use of green manure as a cover crop of plants. Fast growing plants such as winter grazing rye, vetch, clover, oats and wheat can be grown between gardening seasons, and then dug in before flowering. This will improve the soil for the next planting season. Green manure crops absorb nutrients from the soil, rather than being leached away in the rain. These nutrients go back into the soil when they are chopped in. Companion planting for pest control (without killing insects) and encouraging beneficial predators is also of the essence. Use a thick hay mulch to cover the soil. The organic matter feeds and improves the soil structure as the hay decomposes. Mulch suppresses weeds and encourages worms, who are great for soil structure. Seaweed can be harvested directly from the sea, rather than taking finds from the beach, which would already have lost important nutrients. Organic liquid seaweed can be bought and used if you don’t live near the sea. Spirulina and kelp meal are also popular fertilisers. There are different ways to make comfrey/nettle teas – but here is an easy version: Fill a container with nettles/comfrey leaves/grass clippings and cover with water. One part ingredients to 3 parts water. Cover the container and leave it to brew for two to four weeks. Strain and use when watering or as a foliar feed (not when it is sunny as the sun will scorch the leaves). Nettles are a great multi-purpose feed, and comfrey tea gives a potash rich feed, best for shrubs, patio plants in pots, tomatoes and other flowering vegetables, and flowers.